Warehousing is a lot easier when you have a professional team providing the storage solutions you need. But, you shouldn’t depend on their services alone, no matter how dependable they are. It’s always best to double-check and have all your bases covered. This way, you’re prepared for any changes in your market no matter how minor or serious they are. 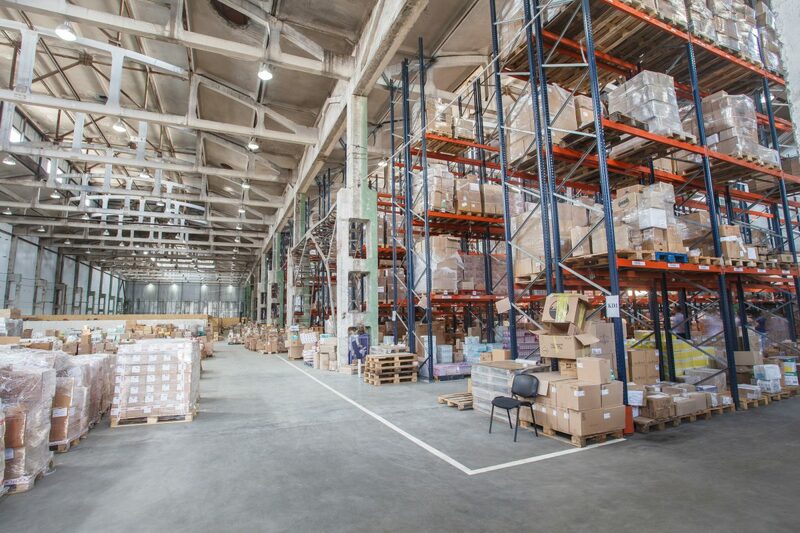 Here are ten things you can do to make your Miami warehousing more efficient. You’ve heard of auditing and yearly reports. Have you ever done cycle counts, though? These break down big counts into small sections. Instead of scheduling one day per quarter or one week a year to count everything, you count your inventory in sections. One day you may count the most valuable items, while the next you may count the most perishable or check how much you have left of an in-season item. This is like spot-checking. Cycle counts help you catch smaller errors in overall inventory measures by taking on a certain chunk of the inventory one by one. While cycle counts help you track the flow of products, you also have to track the flow of people. There should be one clearly appointed person in charge of your warehouse inventory. This may be yourself or a point person from the warehousing service you’re contracted with. Either way, some level of authority has to be established. This keeps you from having your product exposed to too many people. Another group of people you should be aware of are your top buyers. Think of who places the most frequent and/or largest orders with you. You have to be able to meet their needs every time they need to restock. Always anticipate these needs. Be proactive and make sure you have more than enough to cover these orders. You shouldn’t go overboard, but having one or two extra pallets may help you make a bigger sale as customers keep coming back for more. Maybe instead of a few large orders from the same buyers each month, you get a lot of orders for the same handful of things. These are your best sellers, which you always need to have ready to go. Make sure you have them in good condition and get a feel for the market, too. If you work with produce or the restaurant industry, for example, you’re going to have to account for changing of seasons. If you work in entertainment or technology, you have your own set of industry changes to account for in these fast-paced environments. When it comes to warehouse inventory management, you really can’t have enough forecasts. The predictions mentioned above are just the start. There are also forecasts for everything from having enough space in the warehouse to growth rates and sales numbers to beat from the previous years. It’s a lot of numbers to keep track of and even more warehouse stock to make sure doesn’t go to waste. As helpful as forecasts are, something is still bound to go wrong. The weather may delay your shipment plans in your local area, or an unforeseen event in the business of a major client may cause them to delay their order. These are just a few things that throw curveballs into the world of warehouse management. Professional warehousers are used to them, but, it’s in your best interest to try and stay one step of ahead when something happens to you. Whether in crisis or on a normal day, you’re going to be glad you categorized your inventory. You can do this in a variety of ways. If you work with fresh materials like flowers or raw food, for example, a FIFO warehouse inventory system is the best way to go. But, if you operate based on high and low seasons (like the holidays or certain weather-related peaks), you may have to come up with a different way of categorizing everything. Spoils are one of the worst things that can happen in your warehouse. FIFO organizing can prevent it, but you still need to watch out for things like temperature control and timing. The longer fresh items sit in your warehouse, the smaller a client’s window of opportunity gets to make use of your product. People tend to think of spoils as exclusive to produce and other fresh materials. However, dead stock is basically the “spoil” of material items. Say you’re storing Christmas decorations or Halloween costumes. If you don’t sell those items this season, you’ve just created dead stock for yourself to get rid of next year. Even worse, you may have to try to sell such items in their off-season, which is a time it’s hard to find anyone interested. Last but not least, always make sure the warehouse is organized. This is something you’re going to have to work with your warehouse team to improve and manage. You may realize it’s time for an entire warehouse re-organization or that you just need to make a few tweaks in how things get done. Still, it has to be done. Without the proper management, all the tips above cannot be used to their fullest. Businesses come and go in Miami, just like anywhere else in the world. But, with the strong buying power of consumers and the influence of many cultures, trends tend to rise and fall faster here. Make sure you’re always ahead of the curve with the proper Miami warehousing to support your business. This allows you to reach your customers, track your inventory, and most importantly, have the peace of mind to plan for the future initiatives of your business. To discover what our warehousing solutions in Miami can do for you, click here. Did you know that the warehousing industry is valued at over 22 billion dollars? Are you interested in improving your business using the Miami warehousing scene? Read below for ten ways using a warehouse will significantly help your business! In order to produce or ship items quickly, materials and products must be readily available. Storing goods in a warehouse allows all necessary items to be on hand for an order. Warehouses also let manufacturers create products at a future need level. Basically, it decreases the overall time between an order and a consumer receiving a product. A few examples of items that are made throughout the year, but in high demand during a season would be umbrellas or snow boots. Miami warehousing can help you meet changing demands by allowing you to store surplus products. Having product on hand means shorter waits until the customer gets their product. Along with storing surplus products, warehousing gives your business other ways to please consumers. Using a warehouse to store extra raw materials will cut production time significantly. With the on-demand nature of many manufacturing businesses, production sometimes is slowed down simply from waiting for raw materials to be delivered. With the ability to store raw materials in a warehouse, you’ll be able to cut down on raw material costs by ordering in even larger bulk orders. If you want to store products or materials, but are nervous about doing it yourself, you should be looking at warehouse options. Items kept in a warehouse are insured at risk of the owner of the warehouse. This means using one minimizes the risk of losing inventory due to theft, fire, or other damage. The warehouse owner’s insurance will be the one paying out compensation. Storing your products at a Miami warehouse means you do not need to stress about the safety of your products. Should anything happen, you will get money back for all your lost products. Another benefit of Miami warehousing is that it creates a central location for all your business needs. It can be the focus of receiving, storing, and even distributing your products. When raw materials or products arrive, the warehouse takes responsibility to sort and store in a methodical manner. The warehouse will not just act as a place to house products, but also maintain a level of security. When items are ordered or need to be moved, they will be carefully gathered and packaged. Miami warehouses will ensure orders are complete and products go out undamaged. A huge benefit to using warehouses is that they help avoid large fluctuations in prices. This is because when demand is low, they can store your business’s products until the demand increases again. They help make sure the supply of goods remains regular in the market. By always matching supply to demand, prices become more stable. Warehouses will keep a close eye on inventory and stock and reorder as necessary. This type of warehouse logistics is very useful to maintain the appropriate amount of stock year round. One way warehousing is good for your business is through financing. All warehouses will give you a receipt detailing the value of all your goods that are stored there. In a pinch, you as the owner can borrow money against the value amount of your goods using this receipt. Borrowing money in this manner can be a better route than seeking out a traditional loan. One huge benefit is that repayment of the loan can be based on the use of material or sale of products. No matter how you look at it, using a warehouse has many economic benefits. With Miami warehousing, you have access to smooth running operations in addition to great storage capacity. Many warehouses have consolidations options that can further benefit your bottom line. These options can help decrease delivery costs for your business and the people ordering your products. Rather than shipping from multiple sources, all items are sent to one warehouse and packaged and sent out together. When you use Miami warehousing, you will have access to much more than somewhere to simply store your products. Warehouses today will pick, pack, and ship your products if you so desire. They will also provide inventory updates. Warehouses have become more modern. Gone are the days of employees walking up and down aisles picking products. Many now use robots to do a lot of that work! Automating parts of the process will speed up how fast consumers get their products. This frees up employees to focus on quality control. By using a warehouse, your business is not restricted to space you currently have to create and store products. By working with a warehouse, you can expand your business. Scaling a business is often difficult due to the small confines of an existing office or workspace. 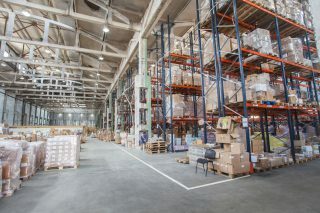 If you’re in the area, Miami warehousing can help you scale your business without burning more capital on real estate. By using an external storage facility, you can better use space you have for other needs. Remember that extra office that has boxes and boxes of excess inventory piled up? That space can now be used for meetings with clients, offices for extra staff, or a break room for your employees! If you feel stuck in your current working space, consider a warehousing option. This will be a cost-effective way to expand and grow. It is clear that utilizing a warehouse is the way to go. Not only will you save your business money, but you will also speed up services. This means happier customers and more business for you. Ready to start your Miami warehousing journey? Contact us today and we will be happy to assist you.